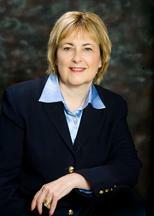 Lynn Moran is CEO of the Arizona Coaching and Consulting Center based in Phoenix. Lynn spent over 25 years with Mars, Inc. the privately-held, global candy and consumer products company, where she ultimately served as president of Ethel M Chocolates. Lynn and her team expanded the high end brand into specialty retail and consumer networks. Today Lynn leads a business advisory firm and shares her precepts on the power of independent coaching for leaders, particularly based on data-driven, business results-focused performance – not the measurement of activities. Make the New Year a Year of Investment – In Yourself: Personal development requires an investment decision. It is not a nice to do, but a have to do for ourselves, as if we were a product needing continuous improvement to stay competitive in a changing marketplace. Regardless of if your organization offers assessment and educational programs with or without funding, take accountability for your own career. Each of us has challenges and opportunities, so solicit objective insight from knowledgeable sources. Address two or three intentions with a plan of action to leverage a strength more or temper a limitation. Setting the New Course to Move Forward: Leadership along a new course does not happen by chance, it requires work. Let go of your past and perceived wrongs, and reflect on feedback – well delivered or not – to discover kernels of truth from which to take action. Rationalization is deceptive defense, not a leader’s friend. Just like architecting a new building, create a leadership blueprint and be deliberate about a career plan, one with a path of doing what is right. Moving forward you have the opportunity to define what your success will look like. Developing Your Personal Legacy: What do you want subordinates, peers, superiors, customers and other stakeholders in your life to remember about you? What footprints are you leaving, the path you create, as you interact with others and your story unfolds? Legacy is not just about working a long time in an organization; it is the personal impact you make within the organization and in a broader sense, your community, developed as a result of thousands of interactions compounding upon one another as you live. While people may not remember what you did, but they often remember how you did it. Challenging the Status Quo – Your Own: The cycle of annual performance reviews typically gears up in the fourth quarter of the year for most companies. Performance leaders are those who move through organizations and not only solicit and hear feedback, but do something with it. They take responsibility for their own behavior and recognize that they are empowered to make needed adjustments and/or change from the inside out. Feedback from everyone, even those with whom we may not have the closets or mutually respectful relationship, holds a “kernel of truth.” It is never too late, nor never non-productive to start a leadership action plan today. Creating and Communicating Your Personal Brand: Just as companies differentiate their products and services through consistency and quality in the marketplace, so do we as professionals create and communicate who we are and what we stand for as we live our lives within our organizations. This resulting personal brand intentionally leads to an ability to establish presence within a company or community. Nine attributes stand out: brevity, commitment, conviction, sincerity, authenticity, approachability, resiliency, ownership and personal impact. Effectively Managing the Multi-Generational Workforce (Part II. ): In a recent survey conducted by AARP, over 70% of all employees sited being appreciated and recognized for their contributions are the top drivers of engagement. To capitalize then on cross-generational nuances, leaders should shape the work flexibly to appeal to the employee, for example Generation X and Y what to know the what, but have freedom to the how, compared to Traditionalists and Baby Boomers who appreciate run rules and boundaries. Cross-generational teams when competently facilitated are a powerful tool for innovative idea generation, rapid problem solving, and solution implementation. Effectively Managing the Multi-Generational Workforce (Part I. ): For the first time in history there are four generations working together, which brings unique challenges and opportunities to leaders and business. Traditionalists, Baby Boomers, Generation X and Generation Y have unique core values and beliefs influenced by events, their upbringing and life experiences, yet also have some common key attributes and needs. From family dynamics to the infusion of technology, capitalizing on diversity is the name of the game for high performing organizations. How do Highly Productive People Get Things Done Effectively? : Being intentional about getting high priority task done each day produces significant results over the course of a work week. Some people use electronic systems visible to all players to record desired actions with time requirements, simultaneously managing priorities in an easier visual way. By focusing on no more than four work MUST do’s each day, with the fourth and fifth being personal life oriented, we can both manage personal expectations and the feelings of overwhelm. One trick to manage endless paper is OHIO, only handle it once – take action or trash it, file it, delegate it. Customer Service – The Lost Competitive Advantage: The “customer is king” mindset has been replaced in a number of organizations with dangerous, misguided attitudes of “the customer is a pain” or “the customer is an inconvenience.” Too much of an internal focus leads to business erosion for without exception there is no business without the customer or client. A True customer service as a competitive advantage leads to customer engagement and loyalty. A customer service mindset should be incorporated in every presentation, every interaction such that it is not a training program, but rather a way of doing business. Great products do not make up for great service. Five Attributes of Performance Leaders: To leave the most powerful legacies, performance leaders demonstrate: a) intellectual curiosity and managing what could be vs. what is, b) dedication to team, balanced and aligned with an eye on diversity, c) commitment to mentoring as a way of business, d) passionate involvement and engagement in the business at every level, and e) personal humility to solicit continuous feedback. Strategies for Organizing, Planning, Prioritizing and Time Management: Those who struggle with ADHD are often helped by coping strategies to handle brain-to-environment processing challenges. These strategies are equally effective for all of us, and involve visual organizing, planning frameworks with incremental steps and end dates, prioritizing skills (must do, need to do, nice to do), and time management to establish routines. Comfort to execute comes through rhythm, reinforced with habit.